The Green Bay Packers had made the playoffs every season from 2009 through 2016. That streak included a win over the Pittsburgh Steelers in Super Bowl XLV at the end of the 2010 season. 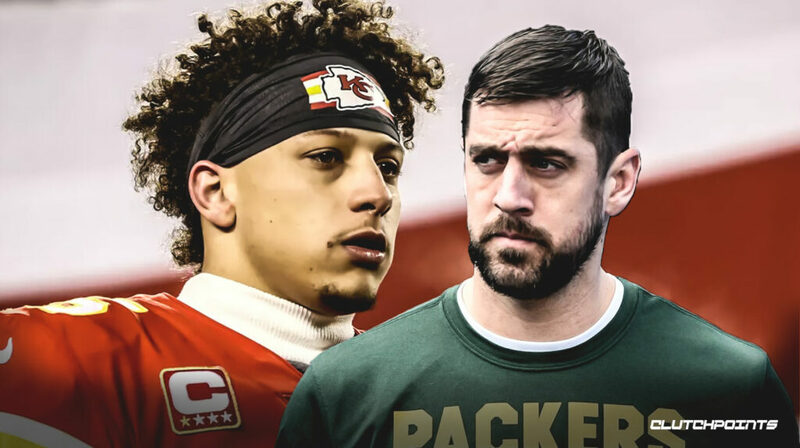 It was the franchise's fourth Super Bowl victory, and it cemented Aaron Rodgers as one of the up-and-coming great quarterbacks in the league. Primary among the rogue factors that led to the playoff streak ending last year, season, is a defense that has regressed mightily in the last few years. Rodgers missed nine games in 2017 with a collarbone injury and his replacement, Brett Hundley, certainly didn't measure up. That's the most common explanation for the end of Green Bay's postseason streak, and there's a lot to that. But the Packers defense did little to hold up its end of the ship. And without Rodgers' excellence to mask Green Bay's defensive deficiencies, that unit was more exposed than ever. But there's reason to believe the team could reverse course back toward supremacy in 2018. Last season, the Packers ranked 20th overall in Football Outsiders' opponent-adjusted defensive metrics for the second straight season. They ranked 23rd and 27th against the pass in 2016 and 2017, respectively, in FO's rankiings. That had something to do with the efforts of former defensive coordinator Dom Capers, who was fired after the season following a nine-year run. Capers' defensive schemes, once at the cutting edge of the NFL with his hybrid fronts and multiple coverages, had become stale and he hadn't done enough to upgrade them in an era in which every team is running hybrid fronts and multiple coverages. Capers didn't have the benefit of the personnel he surely would have liked. Injuries cratered Green Bay's defense, and uncharacteristically bad moves by former GM Ted Thompson came home to roost, especially in the secondary. In the last few years, Thompson declared cornerback Casey Hayward and safety Micah Hyde redundant and let them walk in free agency. Now, Hayward is one of the best cornerbacks in the league with the Chargers, and Hyde had five interceptions in his first year in Buffalo after four quality years with the Packers. New general manager Brian Gutekunst is in charge of making this defense relevant for the first time in years, and he's done a lot already to address it. The Packers replaced Capers with longtime Pettine, who went 10-22 stint as the head coach of the Cleveland Browns from 2014-2015. Pettine worked as a consultant for the Seattle Seahawks last year, and his vacation from the league doesn't seem to matter to his players. Veterans seem pretty happy about the switch from Capers to Pettine. Cornerback Tramon Williams, who played for Pettine in Cleveland in 2015 and for Capers in Green Bay from 2009 through 2014, believes that Pettine's combination of simplicity and aggression is just what his team needs. Williams re-signed with his original team in March after time in Cleveland and Arizona. "Mike is a really big addition," Williams said in early May, via ESPNWisconsin.com. "Obviously, I think a new scheme and look to this defense is what we really needed. ... [His] defense has performed at a high level pretty much everywhere he has went ... from the Jets to Baltimore, even in Cleveland we had a really great defense. "To bring him in here. .. I think his defense is modern-day. I was here in the era when Dom first came in. When he first came in, the defense was modern era and obviously, the league caught up to it. ... You have to make certain adjustments, and over the years, those adjustments weren't made." Pettine runs a one-gap attack defense with multiple fronts and different coverages. He learned a lot from his time as Rex Ryan's assistant and linebackers coach with the Baltimore Ravens from 2002 through 2008, and his defensive coordinator with the New York Jets from 2009 through 2012. Per Jason Wilde of the Wisconsin State Journal, Pettine's KILL philosophy (Keep It Likable and Learnable) is the overriding paradigm. "We want to make sure we have a cutting-edge playbook and we do some things that we gear toward the opponent, and you have some graduate-level stuff. But, at the same time, it shouldn't matter," Pettine told Wilde in April after meeting with his players for the first time. "It's more important how we play and not what we play. "I told them, 'We can line up in one defense, but as long as we play with great passion, great technique, that we should be able to stop people, if the call sheet's very limited.' I think that we've got the buy-in from that." Pettine also said that he spent his two years away from coaching looking at his own defensive concepts and looking to see where he could improve things. "I was fortunate in the time that I had off that I was able to break [the scheme] down to nothing and then build it back up and take out a lot of things that didn't make sense," he said, per Wilde. "Over time, you start adding exceptions or you add something new or you add a tweak and then it just starts to accumulate, and you always want to be able to go back to that foundation. It just made it a lot cleaner." Making the calls simpler in an NFL where no-huddle is the order of the day and defenses must adapt on the fly is the right way to go. Any modern defense too tied to archaic language and concepts will eventually find itself behind the eight ball. Pettine now gets to match his philosophies with a group of players that includes quite a few stars: Pass-rushers Clay Matthews and Nick Petty, hybrid defensive lineman Mike Daniels, free-agent signee lineman Muhammad Wilkerson (who played under Pettine with the Jets in 2011 and 2012), second-year cornerback Kevin King (who played just nine games in his rookie season due to injury) and safety Ha Ha Clinton-Dix. It's less that the cupboard was bare for Capers and more that injuries and schematic ineffectiveness led to a decline. The Packers added two defensive backs in the first two rounds of the draft who fit Pettine's preferred profile for pass defenders. With the 18th overall pick, Green Bay selected Louisville cornerback Jaire Alexander, and then doubled down in the second round with Iowa cornerback Josh Jackson. Alexander played in just six games in the 2017 due to knee and hand injuries. But when he was on the field, he was outstanding both outside and in the slot, allowing a 17.7 opposing passer rating and breaking up more passes (six) than receptions allowed (five), per Pro Football Focus. He is agile, versatile and plays bigger than his 5'11" and 190 frame. Pettine should be thrilled at having a defensive back with Alexander's potential versatility. Jackson is a taller cornerback at 6'0" and 190 pounds, and he fits the modern prototype of the physical defender who boxes receivers out of the play and takes the ball away frequently. That's how he led the nation in interceptions with eight in 2017. Per Pro Football Focus, Jackson allowed an opponent passer rating of 29.0 when playing left cornerback, which was his primary spot in 2017. Significant improvement at any position is never a sure thing in the NFL, but the Packers seem to have the right recipe on defense: stars returning from injury, an upgrade in scheme and additions through free agency and the draft. And if this happens, and Rodgers stays healthy in 2018, perhaps there's another Super Bowl in their future.